This adapter set allows use of the Sony VCL-HG0730A WA Lens. This ball allows a light to be mounted onto the camera housing. the ultra-compact camera head is precision machined from a pure aluminum block. 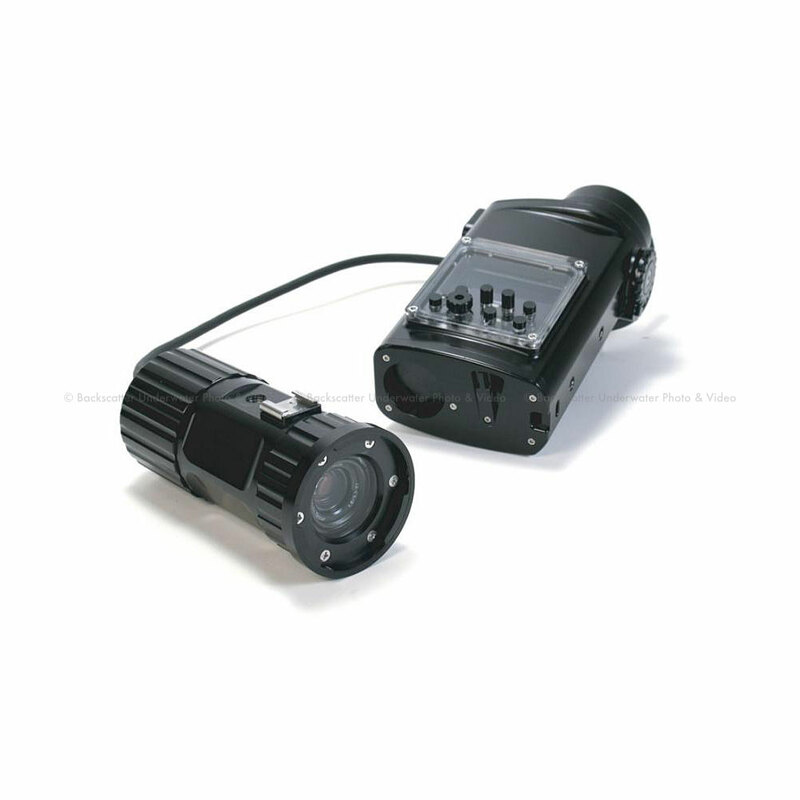 This heavy-duty camera head is durable even under severe conditions. Equipped with a 3-inch wide LCD, the controller is housed in a durable aluminum case. You not only get basic controls such as record, photo, zoom, mode selection, but also precise manual settings such as manual focus, brightness (iris) adjustment can be made underwater. A wide range of options including a one-touch underwater attachable/removable wide conversion lens and dome ports compatible with SONY wide conversion lens (VCL-HG0730A) suits all sorts of shooting needs from super-macro to half-underwater shots. With the optional dome port set, the SONY wide conversion lens VCL-HG0730A can be used. The camera unit has a 1/4-inch camera screw as a standard item. An accessory shoe and the dedicated ball joint adaptor can be attached onto the M10 threaded holes located at the top side of the camera. Enjoy active and flexible shooting with an ultra-compact HD camcorder using various accessories including a ball joint adaptor for Pole-cam. An underwater lighting system can be mounted onto the accessory shoe located at the top of the housing. A wide range of optional lighting systems is available including spot type, wide angle type, halogen, LED and HID. The newly developed exclusive watertight sealing system allows anyone to operate the housing safely and easily even in rough sea condition or at depths up to 60m. The housings for the camera and the controller are securely watertight at the cable joints to avoid flooding.